In 2018 coral disease researcher Greta Aeby told WMNF that this is one of the most extensive coral disease outbreaks ever. When WMNF reported on this coral disease outbreak in 2016, it had spread from nearby a dredging project at PortMiami to Martin County in the north and to the northern part of the Florida Keys National Marine Sanctuary in the south. But now it has spread all the way to Key West and beyond. Read full article (with audio) . 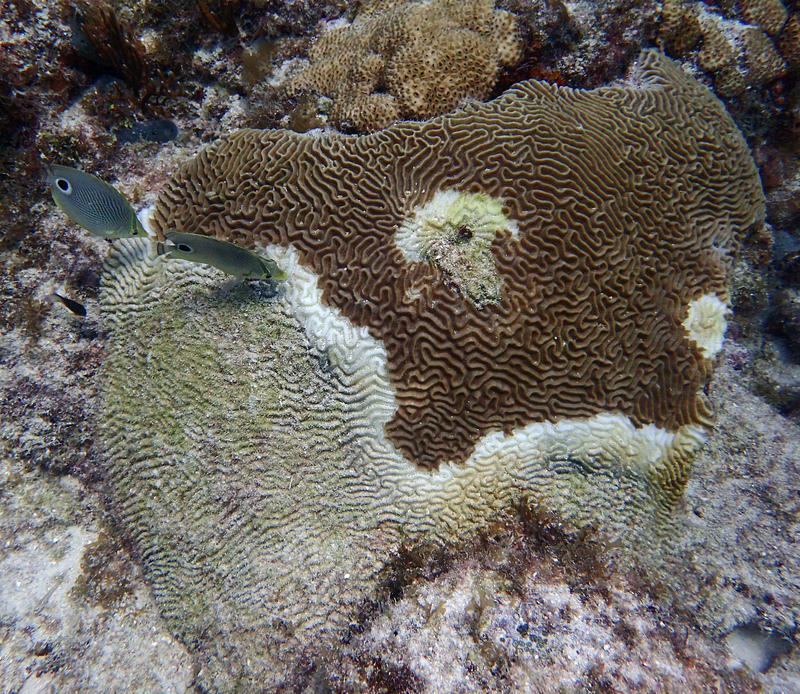 . .
Read also Florida Reef Tract Coral Disease Outbreak -- Scientists, policy makers, and the public are responding to a disease event affecting the continental United States' only living barrier reef.